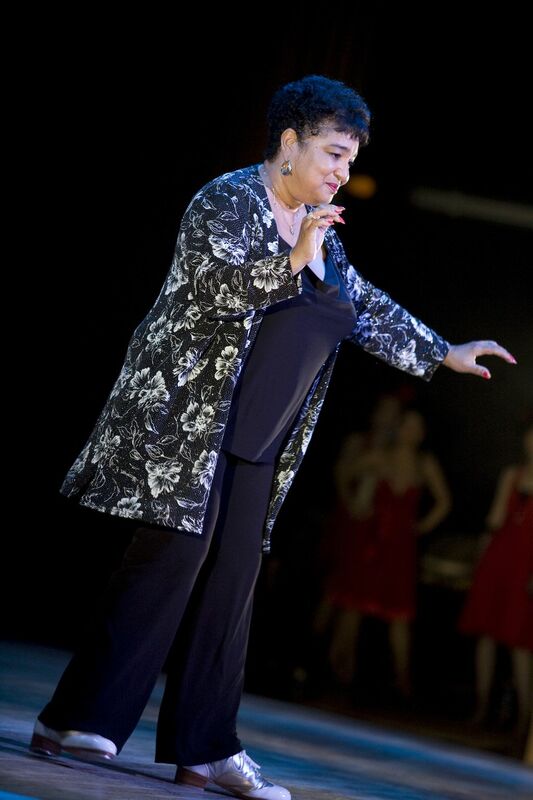 The First Lady of Tap: Dianne "Lady Di" Walker. The Chicago Human Rhythm Project’s Windy City Rhythms, led by Founder/Director Lane Alexander, is honoring some of tap’s female phenoms with a performance in celebration of National Tap Dance Day (May 25th). This Sunday, May 15th at the DuSable Museum of African American History, CHRP is presenting a performance featuring BAM!, the Cartier Collective, Chicago Tap Theatre, Jus’ Listen and some youth tap ensembles. Hosting the occasion is the First Lady of American Tap, Dianne “Lady Di” Walker. Along with the tapping, there will be lots of clapping as Chicago’s first ladies of tap are presented with the JUBA! Award. Congratulations to Julie Cartier (Especially Tap Chicago and Cartier Collective), Idella Reed Davis (Rhythm Iss…, Sammy Dyer School of the Theatre), Shelley Hoselton (Talent Forum Dance Studio, footprints Tap Ensemble, Forum Jazz Dance Theatre) and Peggy Sutton (Mayfair Academy of Fine Arts) on receiving the award and many thanks for their tremendous contributions to the art form. They’ve left an indelible mark on our marley and in our flappin-lovin’ hearts. Windy City Rhythms – Sunday, May 15 at 5 p.m.